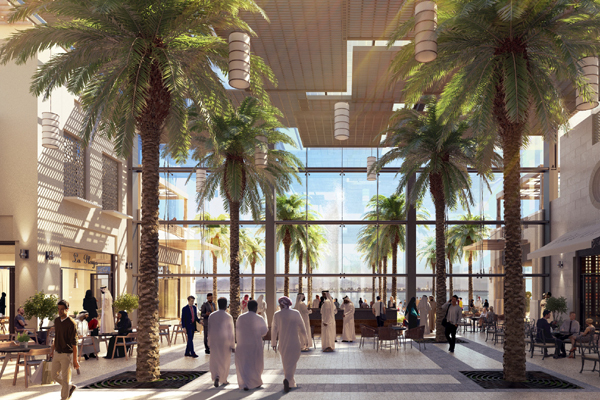 Kalba Waterfront is one of three major developments, alongside Maryam Island and Palace Al Khan, which represent Eagle Hills’ venture into Sharjah. Worth a total of Dh2.7 billion ($735 million), the trio of projects are the result of a joint venture between Sharjah Investment and Development Authority (Shurooq) and Eagle Hills, an Abu Dhabi-based private real estate investment and development company. Kalba Waterfront covers a gross floor area of 17,000 sq m and offers a gross leasing area of 11,200 sq m within the Kalba Eco-Tourism Project. Overlooking the Kalba lagoon, it will offer a serene and beautiful environment for all visitors to enjoy, while also providing a practical, service-oriented hub that caters to the needs of the local community. The retail development has been launched as an answer to the growing demand for modern retail facilities by Eagle Hills Sharjah and is set to become the leading shopping, dining and leisure destination in Kalba region when it opens in the third quarter of 2019, said Marwan bin Jassim Al Sarkal, CEO of Shurooq, after signing the deal in the presence of Low Ping, CEO of Eagle Hills; Haitham Fekry, executive director of Eagle Hills; and Ahmed Saeed Al Raqbani, managing director of East Coast Group. As part of the contract, East Coast Contracting and Trading has begun the enabling and structural works on the masterplanned retail development. A leading Emirati builder, the East Coast Contracting and Trading has secured a strong presence within the UAE since its establishment in 1977. It offers turnkey general contracting solutions across a wide range of market sectors including commercial, residential, healthcare, industrial, leisure and oil and gas. Ping expressed delight at working on Kalba Waterfront with the support of East Coast Contracting and Trading, a company that shares its meticulous approach to timely and high-quality project delivery. "In line with our mission to drive economic growth across the UAE and particularly in the Northern Emirates, we identified a need in Sharjah’s retail market for a modern facility that would provide entertainment, restaurants and fashion all under one roof. We are pleased to be addressing this through Kalba Waterfront, a first-of-its-kind retail development for Sharjah," he stated. On the contract win, Al Raqbani said: "With our 40-year proven track record in the contracting business, we are committed to delivering a high quality project on schedule and within budget, and we are pleased to be working with Eagle Hills as we believe in the company’s modern vision for the future of Sharjah." Eagle Hills Sharjah said the Kalba Waterfront takes inspiration from the northern emirate’s traditional suqs, marrying internal public streets with contemporary architectural language and connecting visitors with the surrounding waterfront.